Poster Caption: These suffragists demonstrating in New York in 1917 were part of a larger movement dating back to the mid 1800s. The suffragist marches of the early 20th century became a powerful tool in shaping public opinion, and their techniques would be revived during the Civil Rights Movement of the 1960s. 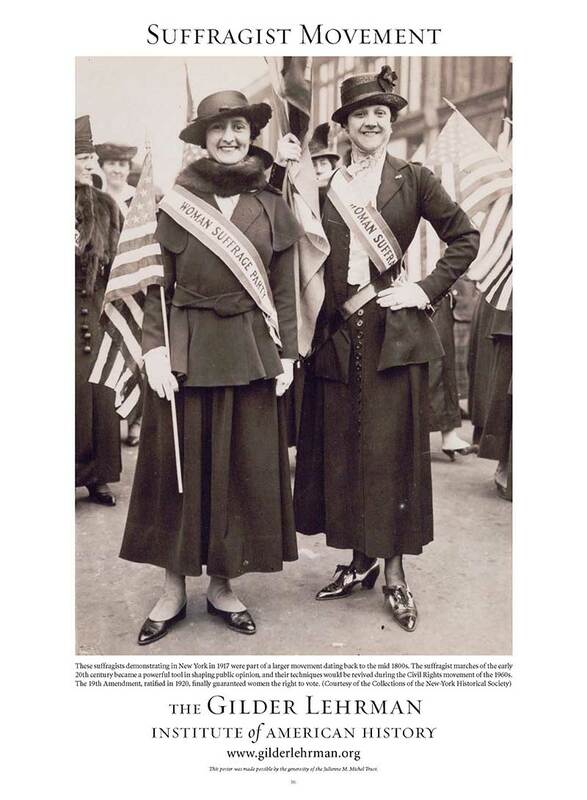 The Nineteenth Amendment, ratified in 1920, finally guaranteed women the right to vote.